Tis the season when many Nashville homeowners begin planning ways to enhance their outdoor environment in preparation for the quickly approaching outdoor living season ahead. They attend home & garden shows to gain inspiration, look through lawn & garden magazines and surf the internet for ideas.Though there is a large impetus on making over a landscape, or adding an outdoor living space such as a deck or patio within many mediums, have you ever taken a moment to notice almost all of these tantalizing images are enhanced with outdoor lighting? The emphasis of outdoor lighting is often downplayed where large-scale improvements are concerned, but if you look at the pictures closely, in almost every project design or makeover, outdoor lighting is present. 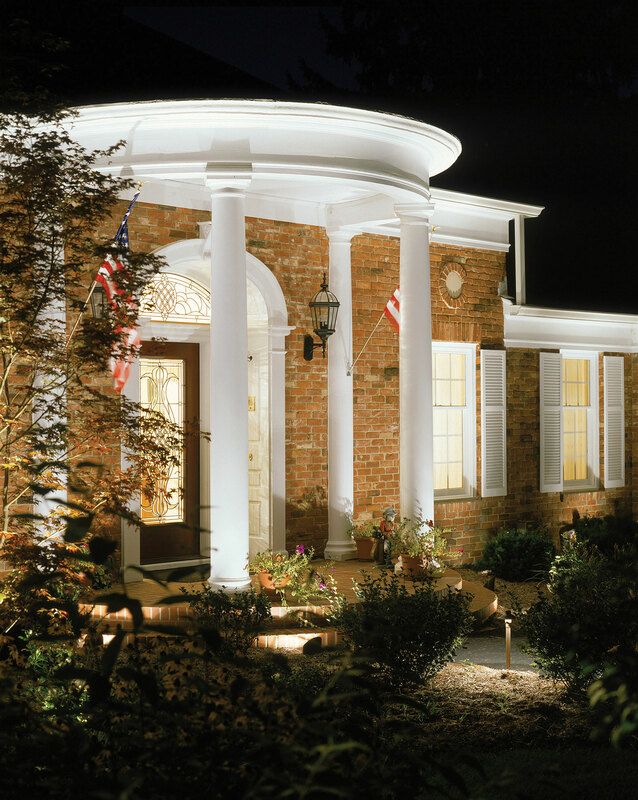 Professional outdoor lighting is timeless and never goes out of style! If you are unsure which key elements should be part of your upcoming exterior home addition, or makeover plans, outdoor lighting delivers the biggest bang for your buck because it is timeless. If you are looking to remodel or upgrade your home, creating lasting value is a top concern. According to a recent article on Houselogic, courtesy of the NATIONAL ASSOCIATION OF REALTORS®, lighting improvements ( both exterior & interior) are listed as one of the top 9 home improvement projects that never go out of style! In addition, some of the other improvements on the list such as perennial gardens, improving your home’s entry and hardscape exterior additions benefit from outdoor lighting too. You may be asking how much am I looking at in terms of the investment in professional outdoor lighting? The answer is not an easy dollar amount, or even range, as professionally designed and installed lighting differs for each property, and is influenced by the individual needs of each client. 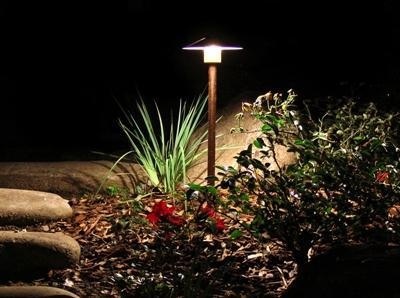 Without getting too technical, The Landscaping Network explored the subject of landscape lighting in detail in a recent article titled “How Much Does Landscape Lighting Cost?”…“Quality contractors use professional quality fixtures that are all metal in copper, bronze, aluminum and steel featuring powder coated colors or unique finishes. These high quality light fixtures last far longer and cost substantially more due to their warranty. A general rule of thumb for a preliminary estimate of your future lighting is to allow about $325 per fixture to cover product and installation.” There are factors that can greatly influence the cost of a professional lighting system. These include a new system over one that is converted, or retrofitted; soil conditions; unusually long runs of wire for larger properties and remote operation among other factors. From a budgetary standpoint, other exterior home improvement project can cost much more than professional outdoor lighting. Take for instance a hardscape patio addition; depending on the size and type of materials you choose, stamped and colored concrete patios can cost twenty dollars per square foot. According to The Landscaping Network, pavers can run on average up to $25 per square foot, and flagstone $30. According to these estimates, an average 12 x 12 patio (144 sq. ft) can add up quickly! Keep in mind, too, that to enjoy your outdoor addition in the evening most homeowners still opt to install outdoor patio lighting! 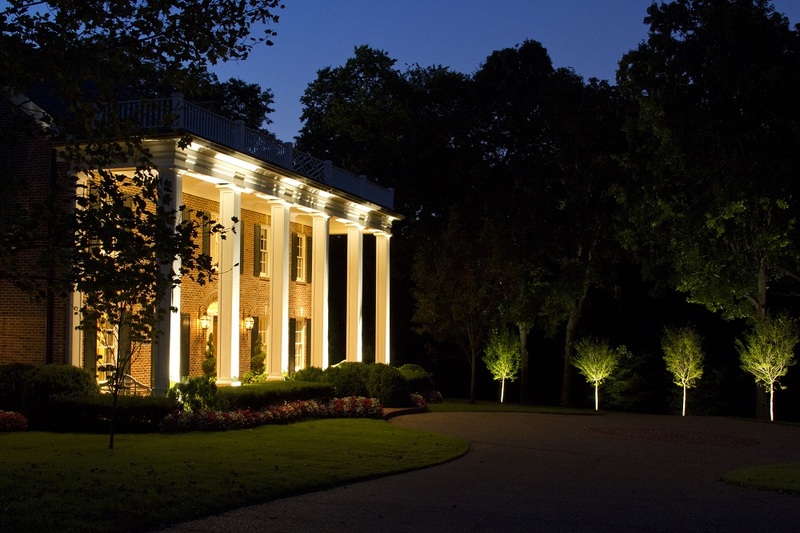 Contact Outdoor Lighting Perspectives of Nashville today if you would like to learn more about the benefits of adding outdoor lighting to your home and landscape, you can request a free consultation by calling (615) 373-0638 or visit our website to learn more at nashville.outdoorlights.com.